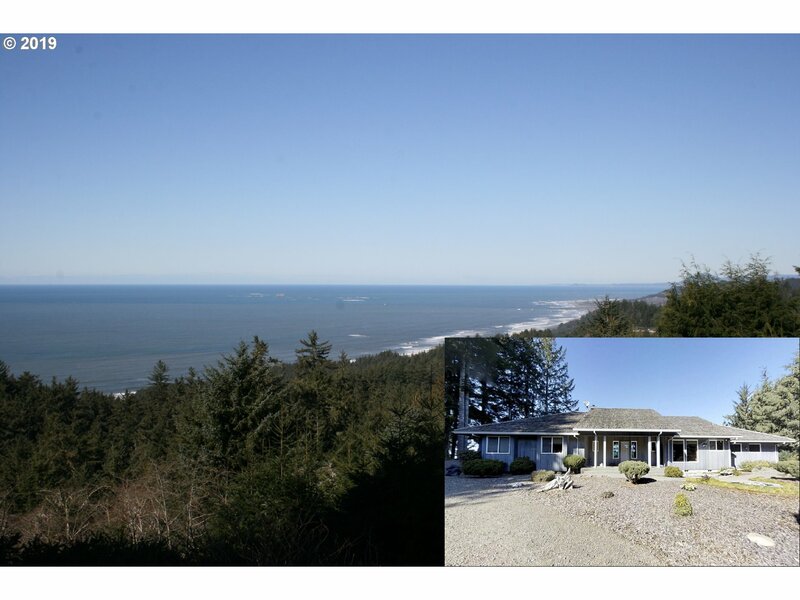 All Gold Beach homes currently listed for sale in Gold Beach as of 04/19/2019 are shown below. You can change the search criteria at any time by pressing the 'Change Search' button below. If you have any questions or you would like more information about any Gold Beach homes for sale or other Gold Beach real estate, please contact us and one of our knowledgeable Gold Beach REALTORS® would be pleased to assist you. 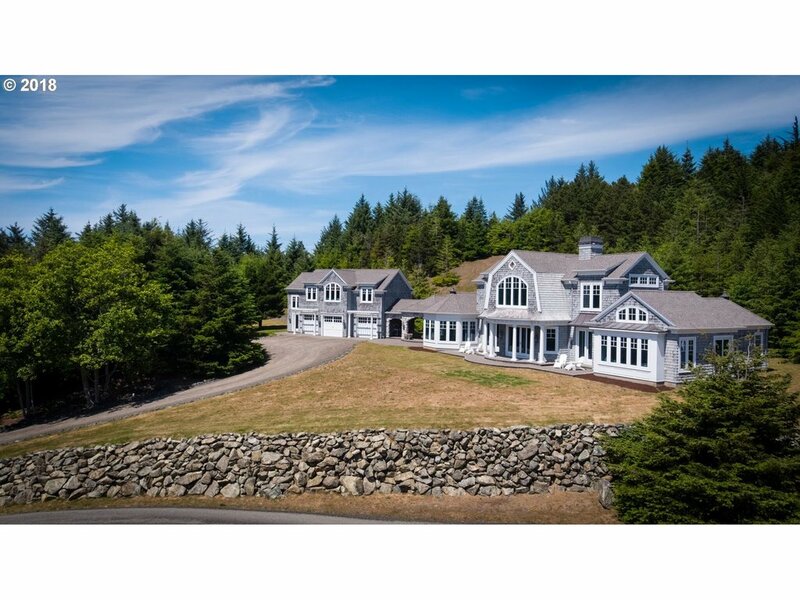 "Radiating it's 10,000 sq ft grandeur,this MASSIVE LOG HOME ESTATE rests serenely on 28+ acres of OCEANFRONT coastline. Enormous living spaces throughout. Floor to ceiling windows, dramatic river rock fireplace reaches up to 35' high soaring ceiling. Massive old growth logs imported from Canada. Rich combination of Quartzite & hand scraped Acacia wood floors. Guesthouse, Pond, 2 barns, shop, gazebo, private Helipad and beach access." "Spectacular private oceanfront property with views of the majestic Three Sisters Rock Formations & access to two mesmerizing beach coves. The perfect location for this ocean mansion constructed with the finest materials. Wonderful floor to ceiling windows. Extensive brick work & Old World Charm will captivate you immediately upon arrival. 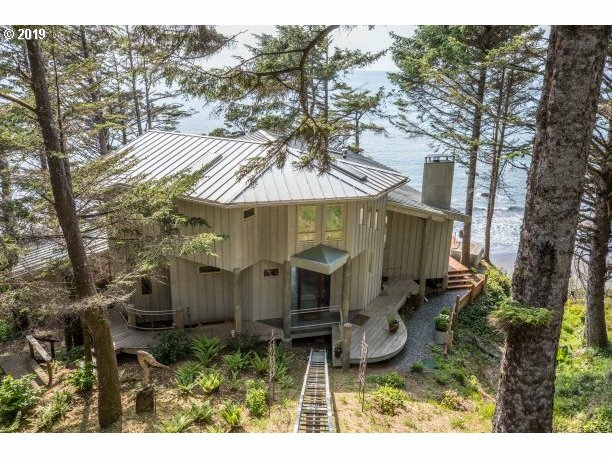 Included is a 1,460 SF full-scribed Scandinavian Log Guest House also with incredible ocean views." "Bring the horses! With 467+ acres to ride,an 80 x 200 indoor arena, a 150x 250 outdoor arena PLUS a 5700+ SF home to relax in, this is the ideal location for the serious equestrian. Add a 50 x 70 shop, year round creeks, Rogue River frontage and gorgeous views and you'll be loving life on the Southern Oregon Coast. Gold Beach is known for it's mild climate, salmon/steelhead fishing and walk-able/ride-able beaches.Amenities List Avail." "Dramatic promontory setting is secluded behind a custom entry gate & features spectacular oceanfront vistas of rocky wave-splashed points and stunning sunsets. Introducing Cliffhanger, a one of a kind estate located in a forested setting on an oversized lot. Main home captures the scenery with wall to wall glass and a cantilevered deck over the sea. Guest home is sited above the sea also with captivating views and stairs to the beach." "Welcome to THE PRESERVE. This private, magnificently protected and unspoiled 26 acre old growth oceanfront promontory features sandy beach access, waves crashing on monolithic rock formations, tide pools, A whale watching platform, nature trails, two babbling creeks, a classic quality home, a turn of the century farm home and gate keepers home at your private gated entry. Breathe into the moment of a truly unspoiled nature's majesty!" "Gorgeously designed to captivate the occupant with stunning ocean views and a well thought out floorplan. Quality in every detail. 19+ acres w/paved drive,fenced pastures,40 x 60 shop and over 5000 Sf of living space. Gourmet kitchen w/ Wolf and Bosch appliances, Master Suite with his/her baths (she gets a jetted tub and he has a steam shower), Living Room with 2-sided gas fireplace and vaulted cedar ceilings. Call for amenities list." "Undoubtedly one of the finest homes on the Oregon Coast,this custom Nantucket home has superior ocean views from virtually every window. With gambrel roof lines, copper awnings, cobblestone walks & shingle siding this is the quintessential beach home. Inside the treasures await-Carrera Marble countertops,Ash Wood flooring,Beadboard Wainscotting & Volcanic Ash Bathtubs to name just a few of the special finishes. Adjoining Lot available." "MUST SEE CUSTOM BUILT OCEAN VIEW HOME WITH EXQUISITE CRAFTSMANSHIP! 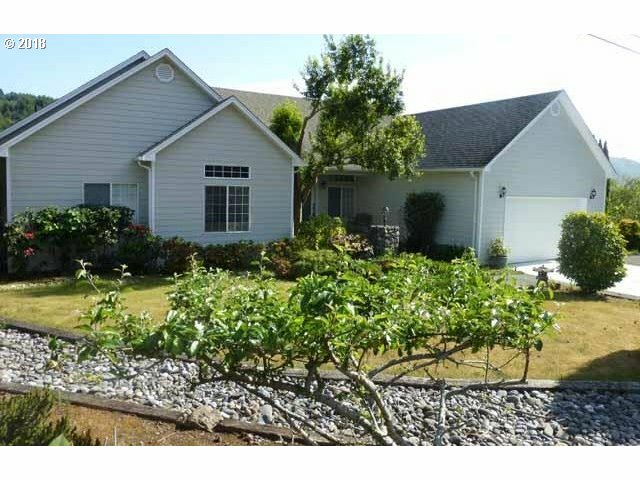 Main home has two master suites, gourmet kitchen, myrtlewood floors & Port Orford cedar vaulted ceilings (35'). Fireplaces in Living room, family room and upstairs master suite. 2BR/1BA carriage house w/Maple floors and soapstone countertops. Sited on a wind protected natural bench w/outdoor living on covered patios and large expanses of grassy yard/fields." "Looking for privacy but don't want to be off-grid and remote? This property could be the one! With a rock quarry (great for developing road systems or retail rock sales), 3 homes, power and ample water on site- you could live here with your animals, 4 wheelers and family! Merchantable timber (last timber cruise valued at $600K)could assist you recover some of the initial expenses of a move. Check out this one of a kind property!" 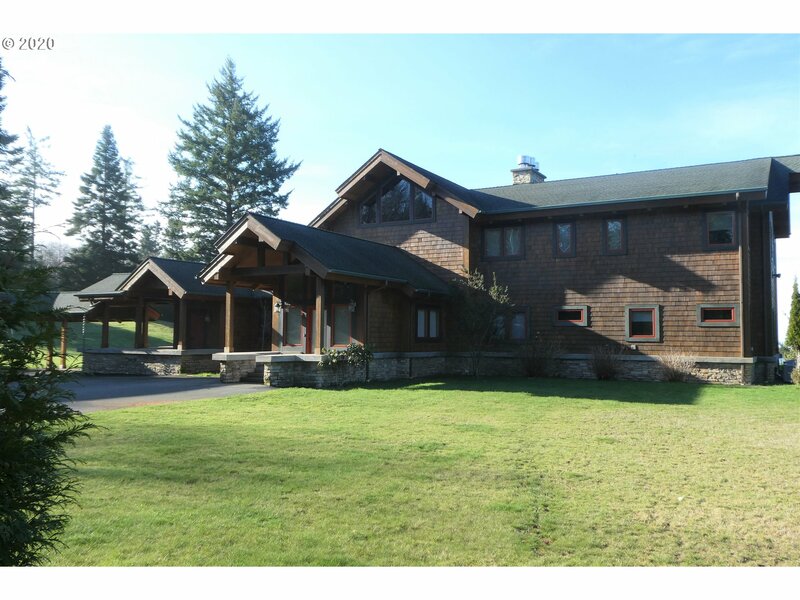 "Private 80-+ acres country estate located behind security gate overlooks the mighty Rogue River! Energy efficient custom 3358+- sq. ft. home lovingly constructed with high quality finishes throughout boasts homesteaders pantry, rolling meadows, 3-+ acres permaculture farm,river views, timber, barn/shop, corral, guest manufactured home,chicken house, well water, spring water, orchard, all with deeded river access & development potential." "Private Estate, Gorgeous one-level home, gated & fenced w/stunning ocean views & ever-changing sunsets. Grand entrance to great room concept; floor-to-ceiling windows for views. Two wood-burning fireplaces, one 2-sided. Marble, wood & carpet flooring; cook island, breakfast bar. Master suite, steam shower, sauna & views! Intercom, attached garage w/secure entry. Gazebo w/BBQ for entertaining. Workshop/barn, greenhouse, gardens & VIEWS!" 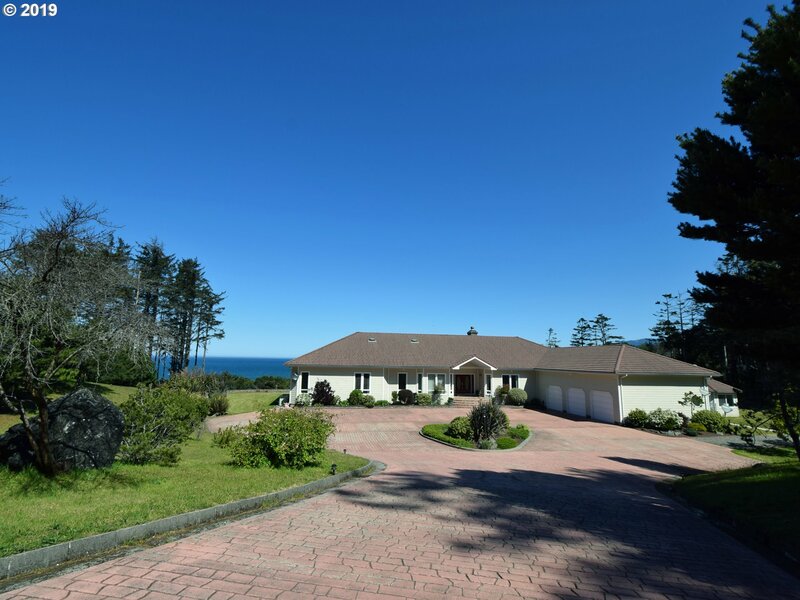 "Spectacular Sunsets, Exclusive Sandy Beach, Towering Spruce & Firs trees surround this Adair Home. Abundant creative potential to customize into your Beach or Vacation Getaway. 3BR & 2BA, well cared for home. Attached 2 car garage, large lower level deck for entertaining. Room to build your shop or RV Storage. Beach-combing and Agate hunting just steps away. Come check this one out!" "Pacific Ocean views for miles & miles! Beautiful custom built home shows attention to detail. Spacious living room with large scale windows to capture the view. Kitchen has granite counters, bamboo floors and cabinets galore. Great Master suite with views, a fireplace and master bath to talk about. Walk about the property to find 3 ponds, additional shop/garage and a fenced garden area. Enjoy privacy, views & space all packaged in one." "ROGUE RIVERFRONT, custom built home on over 7 acres. Fish from the shoreline and catch dinner! Expansive decks on both levels for entertaining and enjoying the panoramic views. Main level has all your primary living spaces- Kitchen, Master Bed/Bath, Living Room, Garage. Lower area has 2 bedrooms/office and family room. Vaulted ceilings and cozy wood stove in the large living area. All bedrooms have sliding glass doors to view decks." 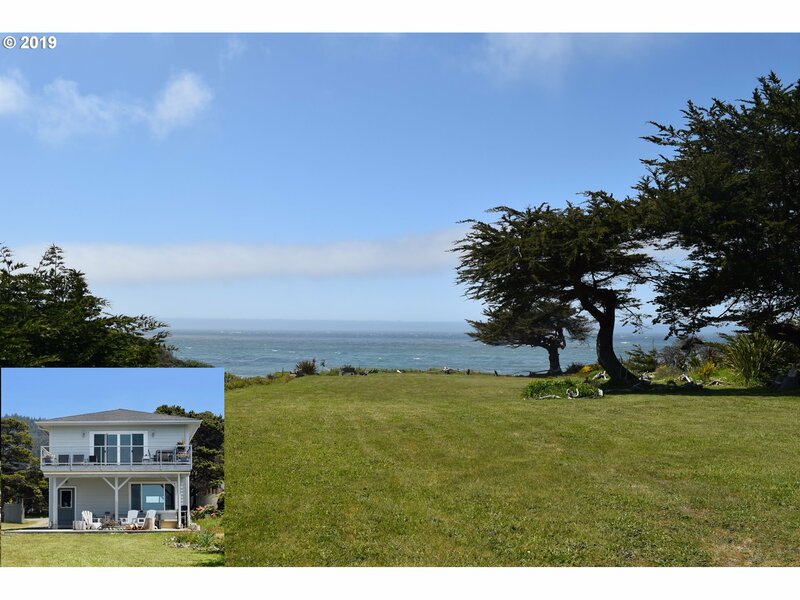 "COMPLETELY REMODELED OCEAN VIEW HOME. 4 br/3 ba, includes attached guest area. Two large ocean view decks, w/concrete area wired for hot tub. Kitchen includes s/s appliances caesarstone counters and a Brazilian white macaubas quartzite island countertop. Hardwood floors. New Aprilaire and ozone-free scrubber HVAC w/heatpump, roof, plumbing, and electrical. Attached 2 car garage and detached oversized shop and greenhouse." "TOP OF THE WORLD VIEWS! 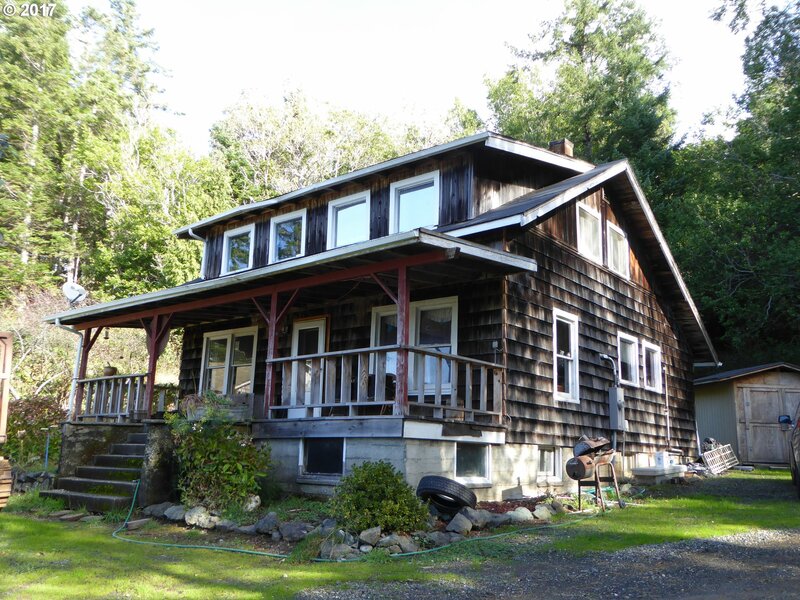 The Pacific Ocean,Rogue River, Rogue Bay & the Patterson Bridge are all visible from this home/property. 5 BR/4 BA PLUS Media room, large home office, den, family room, wrap around deck, laundry area with sewing center and plentiful storage. Kitchen is filled w/light and has a huge walk in pantry. Home is large enough to house multiple families and would make a great retreat." "Enjoy dramatic views of the Pacific from nearly every room of this one of a kind, custom home. Generous sized rooms w an open floor plan. Beautifully hand-crafted with exotic Honduras Mahogany and Cherry wood, 15 ft Cedar Cathedral ceilings, Venetian plaster, granite, marble, stained glass, and a hot tub to enjoy the view. Privacy and a guest house too, on 1.93 acres, with a great beach. nearby. Don't miss this unique and stunning home!" "BOAT or HIKE IN ACCESS ONLY. 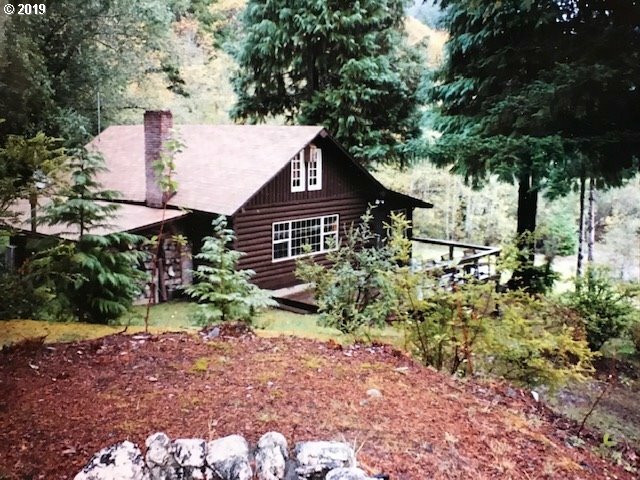 River front log cabin situated on 10 acres on the Rogue River. One bedroom, one bath cabin with a guest cabin. Private and peaceful!" 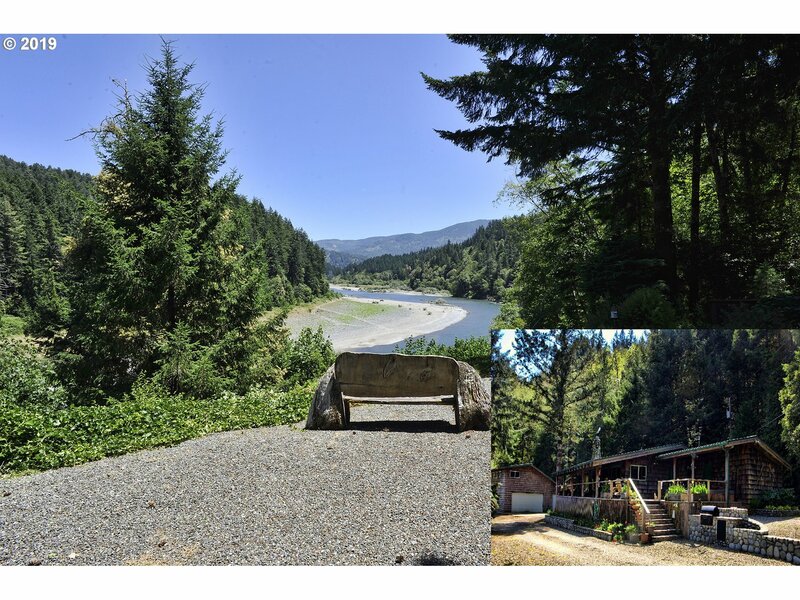 "Tranquil Rogue River front home, sit and watch the Osprey, Eagles, fishermen drift along famous Dunkleberger Riffle, or wander the gravel bar searching for agates. Single level home with mesmerizing views of the Rogue. Fantastic Rogue River rock fireplace, custom kitchen cabinetry in the 3 bedrooms 2 bath main home sold furnished. Garage/shop is big enough for your cars and boat. Bonus room above shop is perfect for hobbies or guests." "Largest secured commercial building in Gold Beach area, 12,500 sq ft building,OCEAN FRONTAGE with incredible views up the coast to Port Orford, fenced secured parking, climate controlled storage, office space, 2 studio apartments, previous roller skating rink with beautiful wood floors, open beam construction so interior walls are movable. new septic built for 150 people per day, public water, main street frontage in growing community"
"Custom Built home on the beach. Incredible ocean views from this two bedroom home. Features include granite counters, bamboo floors soaking tub and stairs to the beach. Currently used as a Vacation rental, property is zoned to allow for a larger home to be added or income producing rentals." 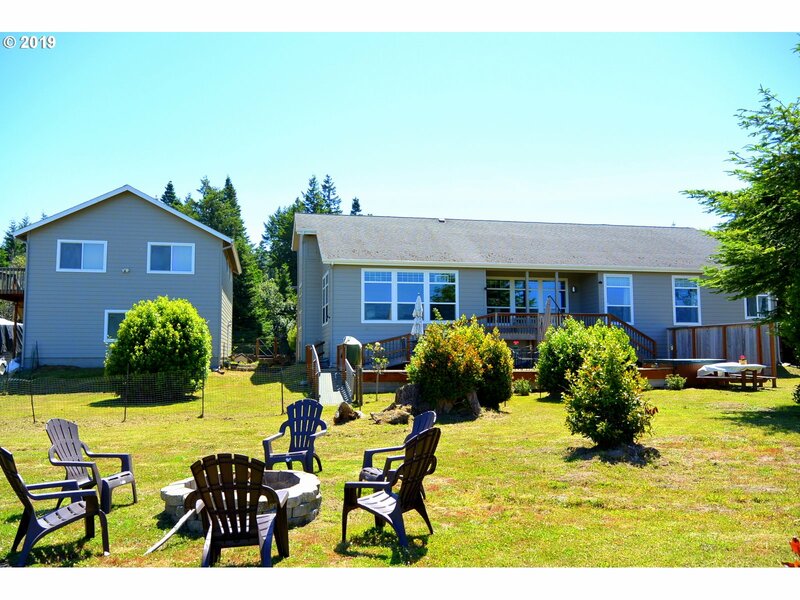 "Single level waterfront front home on level acreage minutes from gold beach. A wonderful micro-climate away from the coastal fog and winds, fantastic soils, excellent privacy, municipal water and high speed internet.Oversized two car garage with finished second story storage rooms and a bathroom for possible ADU. Adorned with beautiful Myrtle wood and fruit trees. Gated access to your circular drive. Adj. 2.71 acre parcel for sale too!" "Stunning ocean views paired with a lovely custom home. 3 bay garage and 1800 sq ft shop. Custom myrtle wood cabinetry and ocean views from nearly every room. Get active and join the wind surfers or relax and watch the ships sail by. 3.21 acres on two parcels makes this the perfect property to develop." 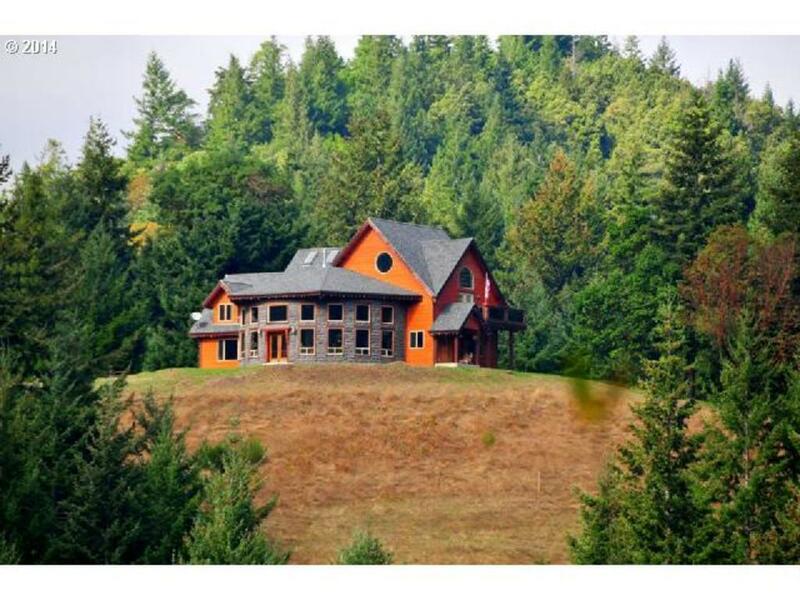 "Rogue River Property: 2/3 Mile of Frontage on the Rogue River with 40 Acres to build dream home; Conditional Use approval required. Peaceful location offers privacy and Southern Exposure. Like to Fish...this property has Kimball & Gillespie riffles, which are considered some of the best fishing spots on the Lower Rogue. Property has as-is 1950's cabin with 40 GPM well and 24 space approved private (currently non operating) campground."